Check out Kay Jewelers Cyber Monday 2018 Sale, available to shop now and including $100 in rewards when you spend $300 or more online and in store through Saturday, November 24. 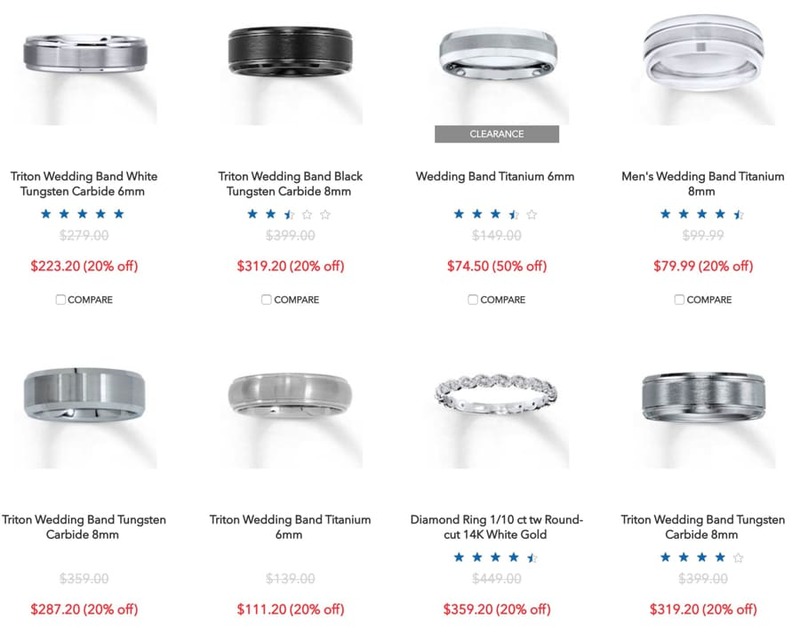 Save with this year Kay Jewelers Black Friday deals on: Triton Wedding Band Black Tungsten Carbide 6mm, Diamond Bridal Set 1/8 ct tw Round-cut 10K 10K White Gold, Diamond Anniversary Band 10K White Gold, Ever-Us Two-Stone Ring 1/2 ct tw Diamonds 10K White Gold, Three-Stone Ring 1/4 ct tw Diamonds 10K White Gold, Wedding Band Titanium 6mm and more! 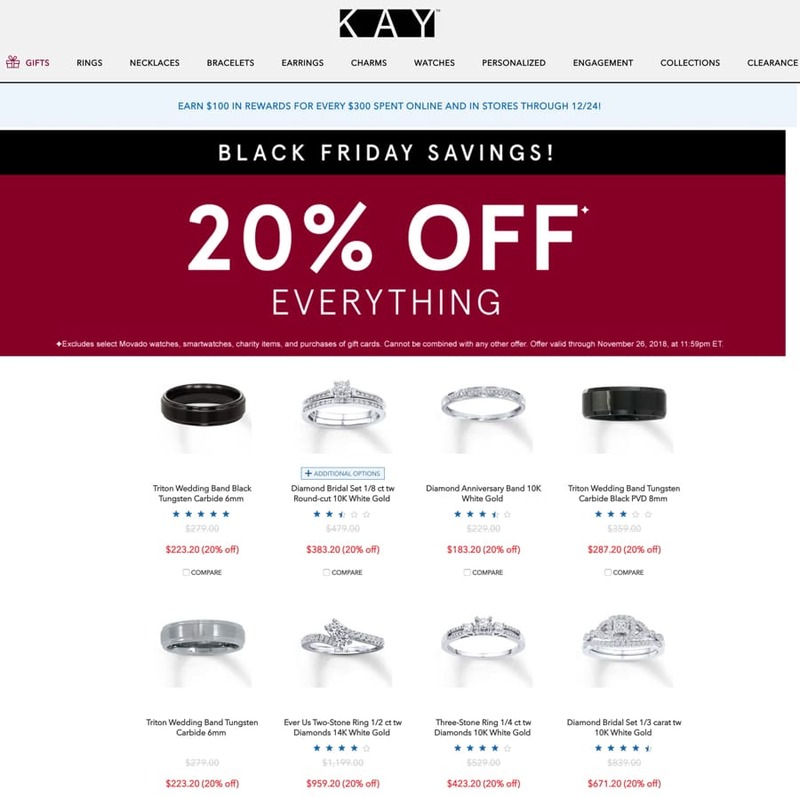 Don’t forget to check this year Kay Jewelers Black Friday deals before heading out to shop.